Award-winning host Bill Rancic has been an instrumental part of successful nationally-syndicated television show, America Now, as well as the highly-rated program he appears with his wife Giuliana Rancic, Giuliana and Bill. His life experiences as an entrepreneur, bestselling author and television personality have given him the opportunity to travel the world and experience different lifestyles and numerous cultures. In 2004, Bill burst on the scene as the first-ever winner of the NBC’s hit show The Apprentice. On The Apprentice, people are forced to make decisions and business and ethical standards are often compromised. With tremendous success that ranges from Main Street to Wall Street, Rancic has had a first-hand look at peoples’ personal and professional codes, choices, values and behaviors. Addressing the many challenges individuals face, Rancic directly relates his discussions to the corporate arena and explores topics such as working professional relationships and surviving the daily ethical challenges in business. Rancic believes that it is necessary for successful people to give back to the community, and he demonstrates this in his volunteer work. Rancic serves as a national spokesperson for the Starkey Hearing Foundation to help SHF on their mission to change the social consciousness of hearing and health care. Much of Bill’s efforts have been focused on helping those in Haiti after the devastating 2010 earthquake. In addition, Bill is a Spokesperson for the Mercy for Boys & Girls, a Chicago-based organization that betters the lives of children and families in need. Throughout his career Rancic has been blessed with opportunities to meet many leaders in business and politics and has seen the world through the eyes of others. 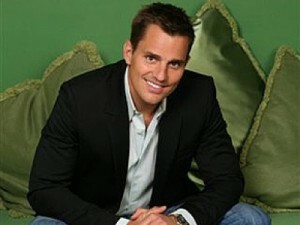 Bill Rancic is a cultured man, with strong messages of leadership, entrepreneurship, dedication and activism. He will enthrall and engage any crowd.